Which print method? No worries, we collaborate for the best fit! We have a press for that. Digital or offset, long or short runs, we have the right press for that. Your experience will start with our exceptional sales team who’ll deliver that detailed and winning quote when promised. Our team will listen to your requirements, gain an understanding of your objectives, and your budget challenges. We’ll collaborate with you and recommend the best print methodology, the right paper stock, and the cool finishing touches to help your piece look breathtakingly beautiful. Been disappointed with your current provider’s product or performance? No worries here, just kick back, we’ll take care of you. Don’t believe us? Just read about what our clients say about us. At Graphicolor Printing, getting kudos from clients is a normal weekly thing. Take a few minutes to check out some of the work we’ve done. 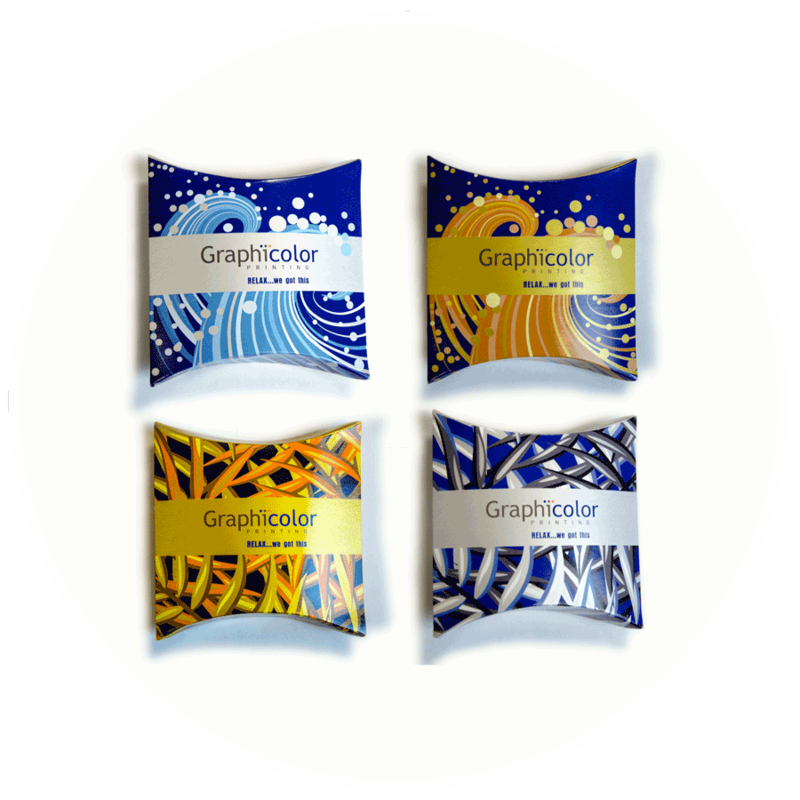 BRING ON THE BLING with digital metallic dry inks! 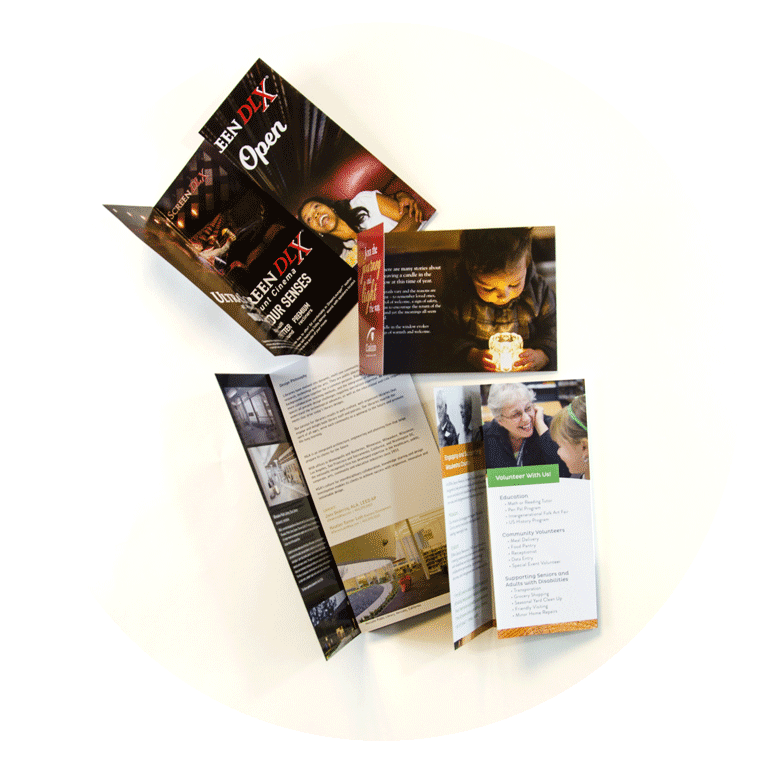 Stand apart, add luxury to your marketing materials. A glint of silver or gold can make your brand shine. 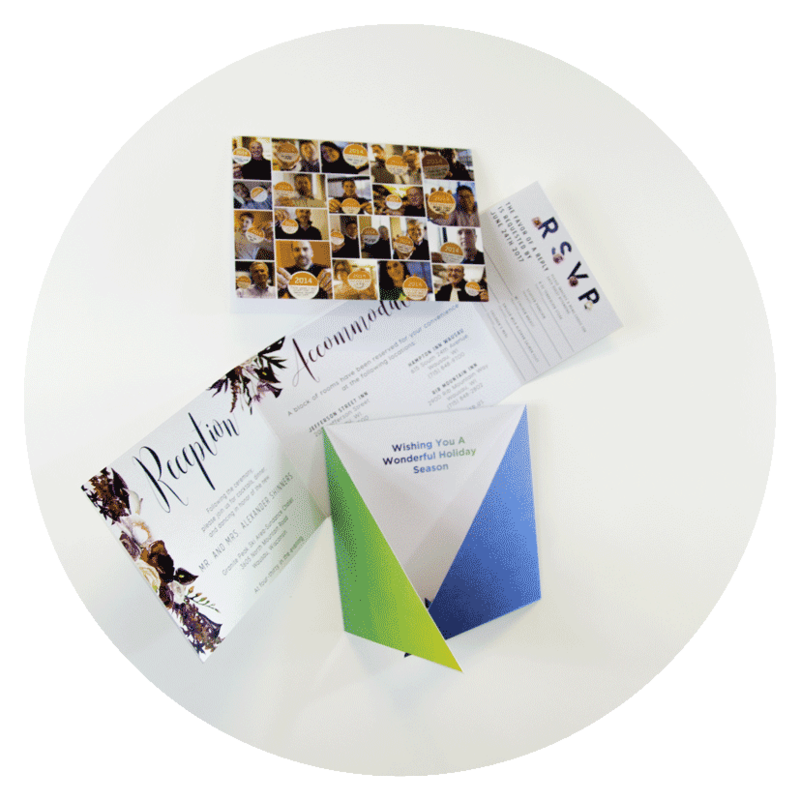 See what metallic dry inks look like in print, click below for your free Print To Impress Sample Collection. Tri-folds, gate-folds, double-parallel-folds, oh my! Choose a fold, any fold, we’ll do it. Pick from a wide selection of paper stocks, weights, and sizes. 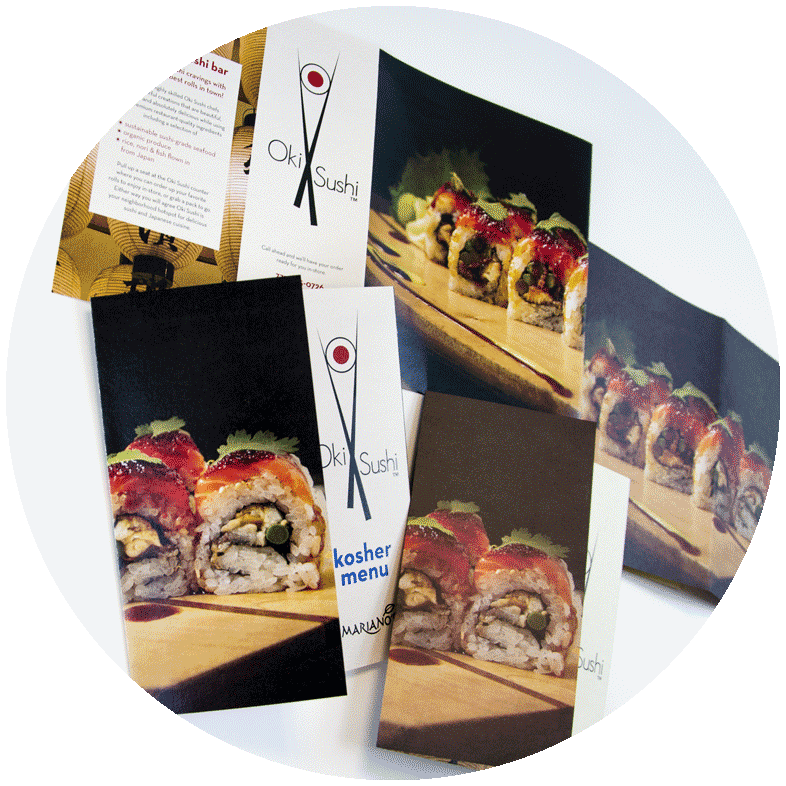 Make your images look awesome on coated stock with a glossy, matte, or silk finish. 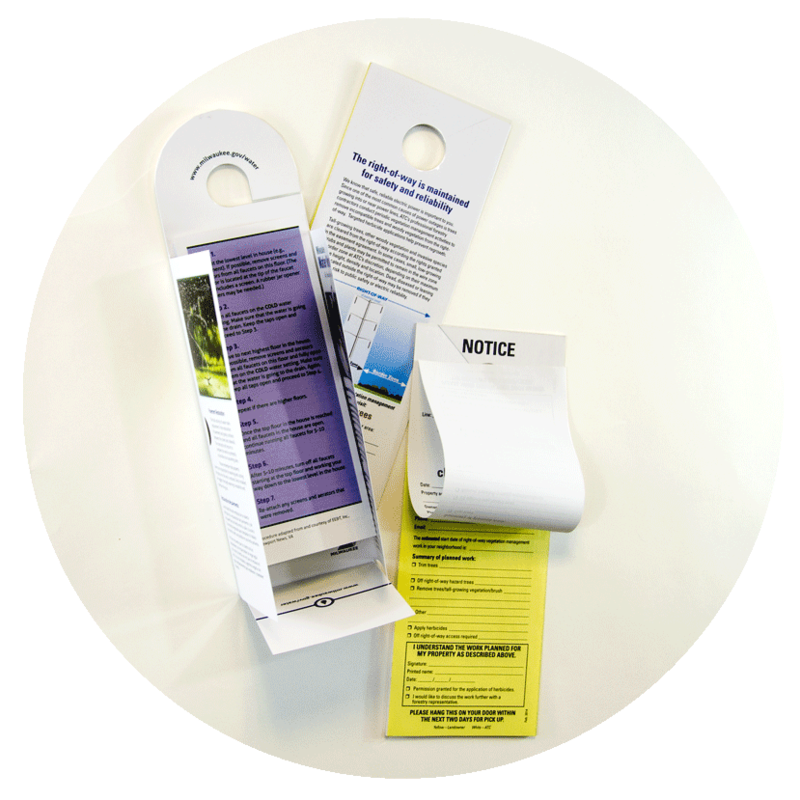 Coupon “perfs” or tear-offs are a creative way to provide info about your products and services, along with an offer to buy. 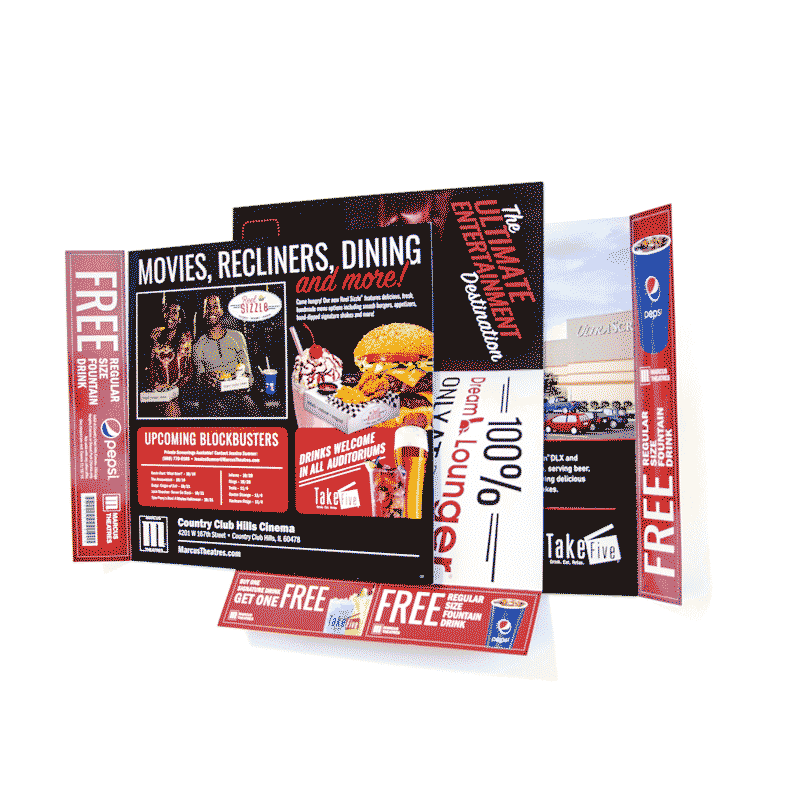 Incorporate multiple coupons because two are always better than one! 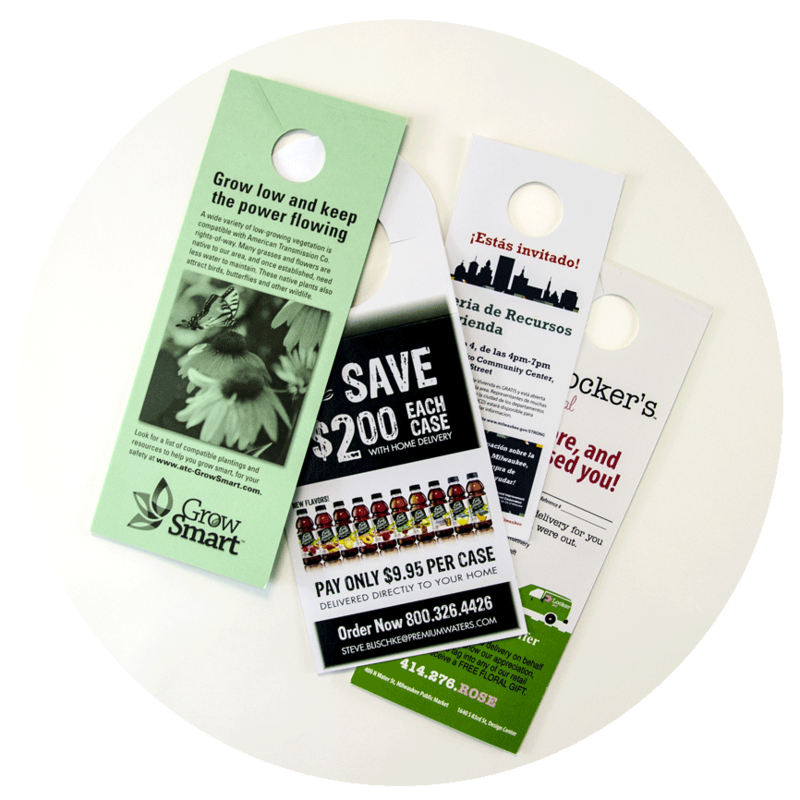 More complex door hangers include folded pieces, inserts, or carbonless forms; these pieces can be a pleasant surprise to your prospect when combined with an offer. 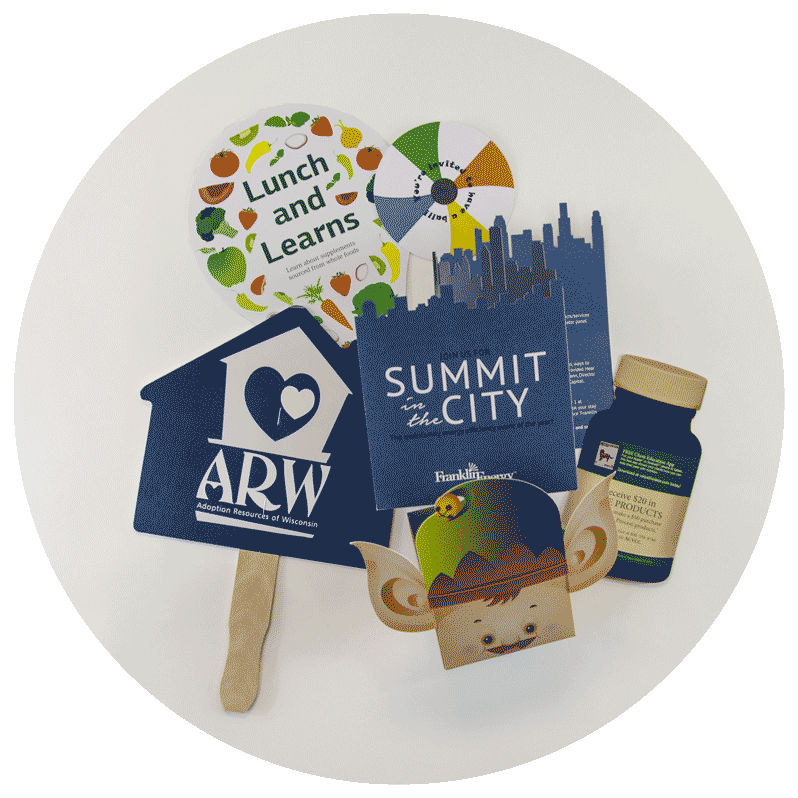 We can print just about any size, color, stock, or weight; digital short-run, or offset long-run. 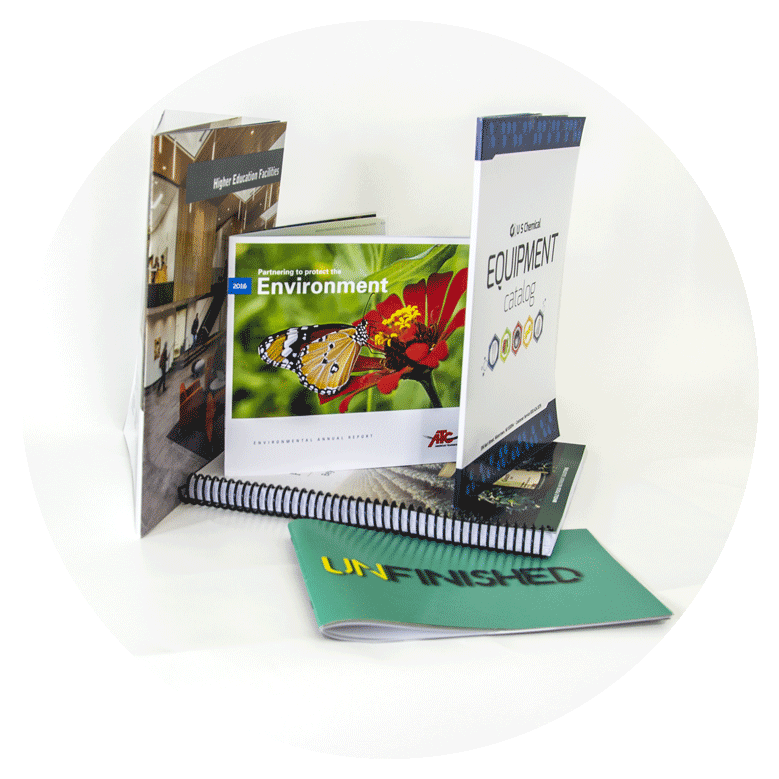 Then…give your piece the perfect finished look with coil, perfect binding, or saddle stitch. Paper stock and finishes aren’t the only ways to set a different tone for your piece. Digital ink sits on top of a substrate while offset ink soaks in. Two presses with two different results. Parchment-like paper was used for both of these pieces, yet the digital press produced a higher gloss look. Let’s collaborate on the tone you want to set for your piece! Add more sparkle to your holiday or special event by using shimmering metallic card stock. SHINE ON! Do you want an unusual shape? No problem, we can die cut or laser cut pieces for your unique design and message. Your options to build a perfect year are countless. Select the size, the paper, the cover stock, or self cover. 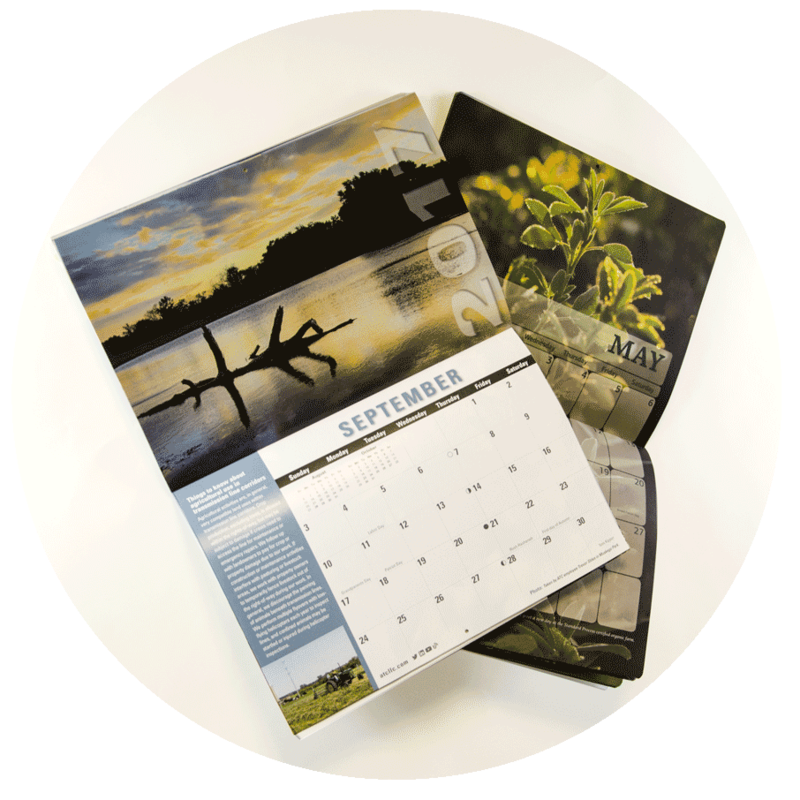 How would you like that calendar bound? Perfect bound, saddle stitch, coil, or twin loop? 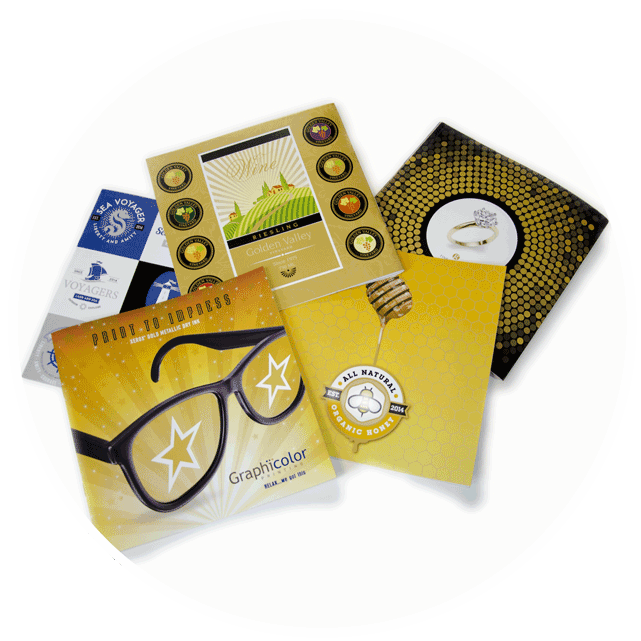 We enjoy thanking our great clients with silver & gold nosh boxes filled with yummy treats. See what digital metallic dry inks look like in print. Click on the button below and get your free Print To Impress Sample Collection.